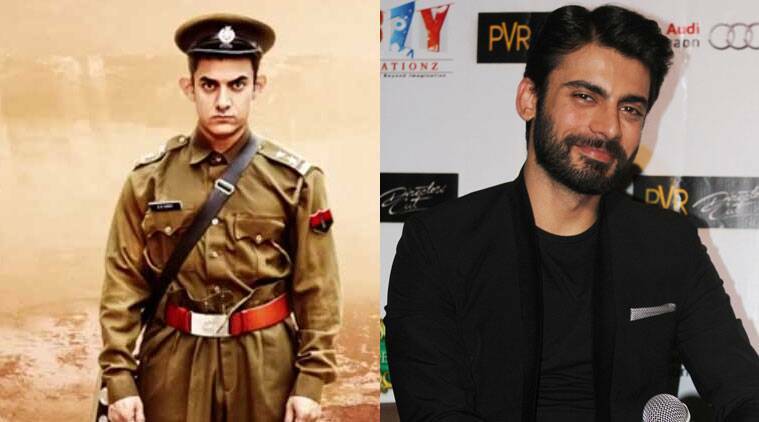 Fawad Khan, who recently met Bollywood superstar Aamir Khan, said he found the 'PK' star energetic and enthusiastic. Pakistani actor Fawad Khan, who recently met Bollywood superstar Aamir Khan, said he found the ‘PK’ star energetic and enthusiastic. The 32-year-old actor, while hailing Aamir, 49, as an inspiring human being, said he is impressed by his TV talk show ‘Satyamev Jayate’, which highlights sensitive social issues prevalent in the country. “I have watched Aamir saab’s films, he is a talented actor and an actor to look up to because he has such a versatile body of work. “I got to know about his TV show and how that has solved a lot of problems in a lot of ways… Aamir is an inspiring person as well an actor,” Fawad told reporters here, while promoting his Bollywood debut ‘Khoobsurat‘. The young star said that Aamir is an intent listener and even though he is a veteran in the industry, he values what others have to say. “It was good fun meeting him. He is a very enthusiastic person, he has got a lot of energy and he listens to you so intently with eyes wide open whereas he has got so much experience,” the actor said. Fawad also met Bollywood megastar Amitabh Bachchan while appearing on game show ‘Kaun Bangea Crorepati’ along with his ‘Khoobsurat’ co-star Sonam Kapoor. “Meeting Aamir Khan and Amitabh Bachchan was all together a different feeling because I have grown up watching their films and to see them in person feels so nice,” the ‘Zindagi Gulzar Hai’ actor said.